We’re proud to offer the SFX SLIM Encore Alcohol Activated Makeup Palette. This palette contains the primary colors white, blue, red, yellow and black. And while this palette uses the same materials as our standard SFX palette, it is smaller and thus lower priced. Even so, it provides up to 100 makeup applications or 3 full face applications. Our alcohol activated makeup won’t rub off on your costume and will last all day. So whether you’re cosplaying your favorite character at Comic Con or shooting a commercial underwater, you’ll love the performance of this makeup. 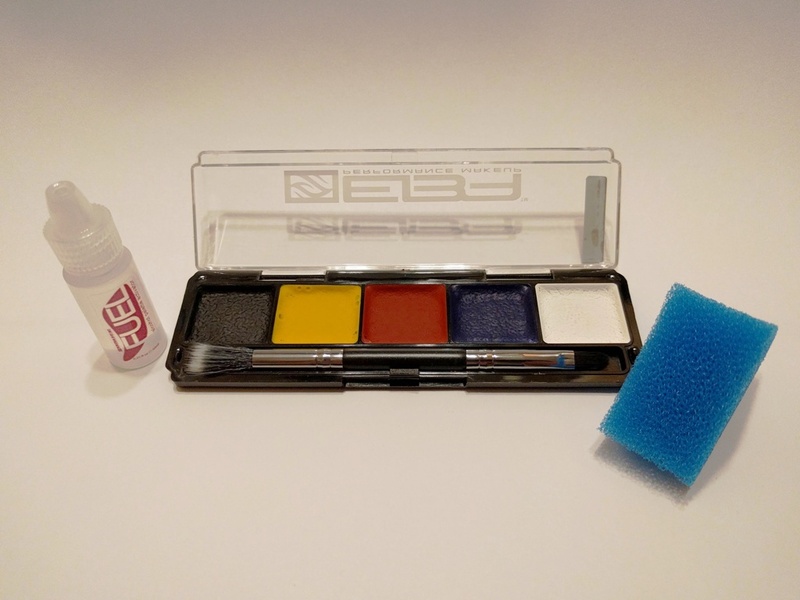 Fuel, a cosmetic grade alcohol palette activator, comes with the palette. You can also use 99% alcohol (or 91%) to activate the makeup. These palettes also come with a double-ended brush and sponge for easy application. Note: Since Fuel contains alcohol, it is included in shipments within the USA only. This makeup palette can be shipped internationally but will not contain Fuel. Colors: primary white, primary blue, primary red, primary yellow and primary black. This alcohol based makeup can be easily removed with Vapore (contains Isopropyl Myristate) or Unveil (no solvent).